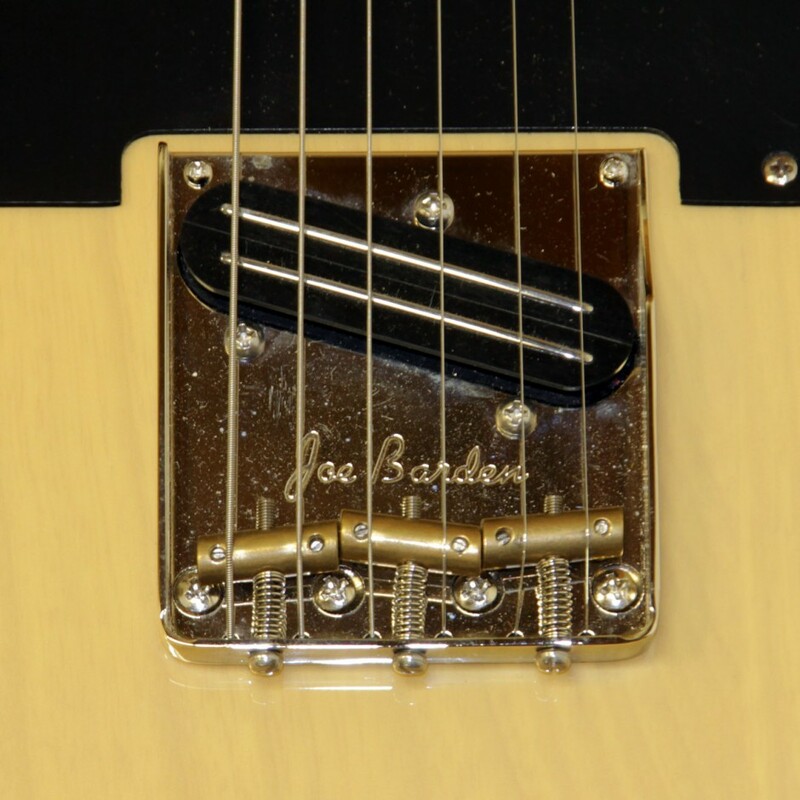 Can you tell telecaster intonation by looking at saddles ? Discussion in 'Luthier's Guitar & Bass Technical Discussion' started by brk303, May 5, 2016. Yep, I totally check by how the pattern looks! If the rest of the setup is right and the strings are good then the same pattern will emerge every time when you adjust via tuner. When that doesn't happen, the culprit is usually one bad string. Bryan T and gtrnstuff like this. Or an unusual string choice. Wound G, super-heavy wound strings, something like that. not necessarily. Pictured below is my esquire intonated using the jerry donahue method. If you look closely you will see the middle saddle is forward of the high e and b saddle. this is why you use a tuner or earballs , not eyeballs! this is what they usually look like...the first pic is compensated or slanted saddles. two different sets of saddles thats why they look different. Like Walter said, if it doesn't look like a normal alignment, I double check with the tuner. Usually check 3rd and 15th frets on each string as well as the open and 12th. That kinda makes my point for me! The visual profile is different because the intonation offsets are different. The JD thing is a sort-of buzz feiten deal where the B-G interval gets closer together as you go up the neck. Like all such variations, it makes certain chords and intervals more "sweet" at the cost of making other intervals more sour. I use a lot of misc odd gauges, never had a wound G compensate visually other than as expected. Doubt I got any higher than .028w but I went as low as possible with the D'Addario's, maybe .018w. I've had consistently plain B looking compensation from A string hand made round core nickel flats tho. So, maybe core to wrap ratio, or wrap mass vs core flexibility or something. . dunno. Anyway, not the stagger typical but it tunes up. which is to say up ahead of the B a little, right? Yeah, IOW the biggest plain string is always farther back than thinnest wound string. I'm pretty sure I've never seen an exception to that on a guitar tuned and intonated straight up regardless of string gauge. These bridges are reversible, and the two patterns handle most standard strings sets very well. For a wound G, you just turn it around so the step is between B & G.
The steps and ends are cut into a long aluminum bar with an eight degree dovetail router bit. Then it's cut into pieces on a chop saw. The radius is made with a disk sander. For Leftys I just radius the other side of the blank. The bridge and ramp float, and are held in place by string pressure like a traditional arch top. 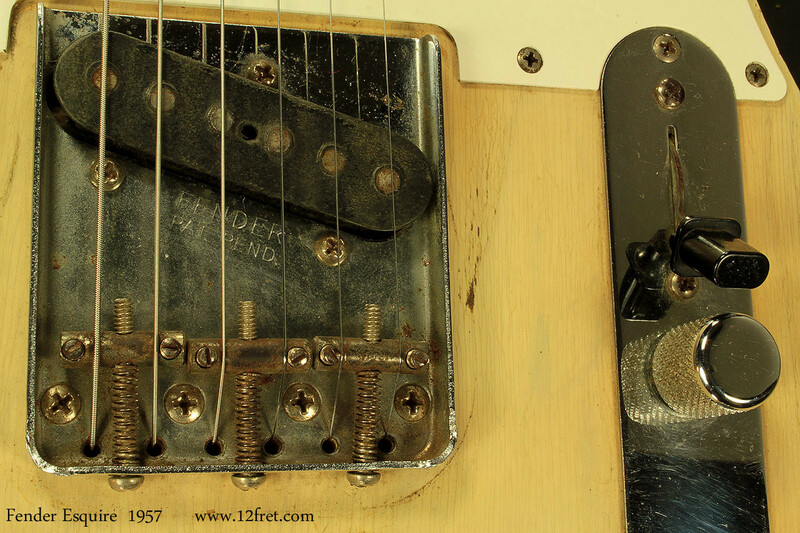 Intonation is adjusted by loosening all but the E Strings, and then nudging it around. Measuring 25" from the front of the zero fret on the high E and 25 1/8 on the low E gets it very close. Action is set by adjusting where the bridge sits on the ramp. Who was it that said "I'd rather have a good looking guitar, than one that is in tune..." I'm sure that saying originated here somewhere. Super cool. I might need a couple of those. . I intonate with a tuner and don't pay much attention to where the saddles are visually until I'm finished. 3 of my 4 electrics look like you'd expect (more or less), but my Jetstream is the odd man out. The E, A, D, and G saddles are all right at the bottom of the TOM bridge, while the B and E are where you'd expect them. Very strange, but chords sound sweet as Mom's apple pie , so I'm not too concerned about how it looks. I don't expect to ever be asked "Hey dood, what's up with the weird looking intonation ?" For the record, I don't intonate normally (12th fret harmonic/ 12th fret fretted). I find too many of the chords sound sour. The next time you intonate normally, check the notes on the 3rd fret of each string. Bet at least some of them will be sharp. There's the source of the sour chords. Instead I use my own method (12th fret harmonic/ 3rd fret fretted), so taking the G string for example, I'll make sure that when the string is tuned to G, that A# at the 3rd fret is exactly in tune. Like all guitar intonation, it's a compromise, but it gives me the sweetest sounding chords I've ever heard, right up the neck. I guess it's a kind of well tempered intonation. Anyone else out there do something similar ? For the record, I don't intonate normally (12th fret harmonic/ 12th fret fretted). I find too many of the chords sound sour. The next time you intonate normally, check the notes on the 3rd fret of each string. Bet at least some of them will be sharp. it should be open and 12th fret, the harmonic is mostly a red herring. if you're getting sharp notes on low frets, that points to setup issues, most likely high nut slots. my Jetstream is the odd man out. The E, A, D, and G saddles are all right at the bottom of the TOM bridge, while the B and E are where you'd expect them. again, that means some other part of the setup is off, most likely nut slots. when everything else is right (including the strings themselves) , the saddle profile will land in pretty much the same place every time. if it didn't then acoustic guitars would be impossible to make! Interesting. May get that checked. Thanks. 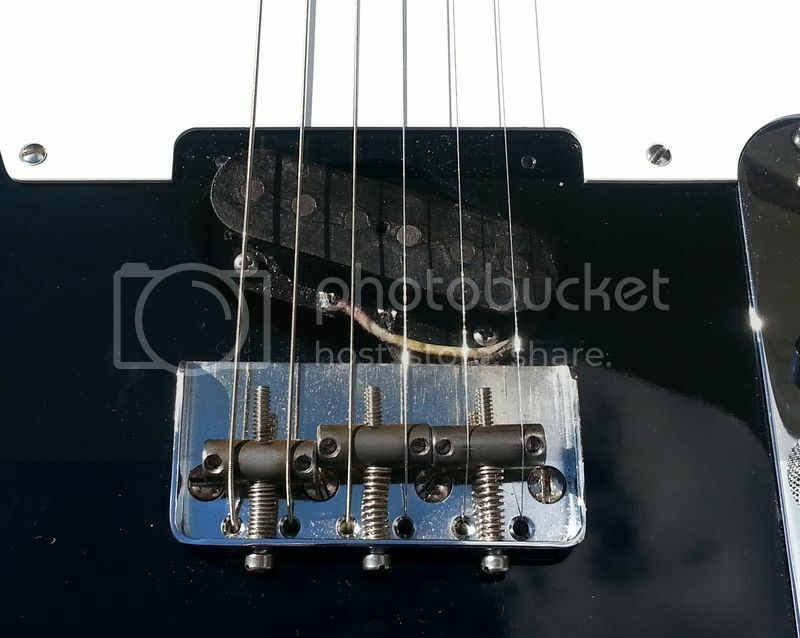 While I believe in what my strobe tuner tells me...with non-compensated Tele saddles, my ears are more sensitive to the G & low E strings being out than the D & A strings. So, I set the intonation on my Tele for the G & low E strings at the 12th fret and just let the D & A strings fall where they may. The B & high E strings both seem to intonate ok at the 12th fret.